Disclosure: The first author of the article discussed in this post, Anthony Dinsmore, is now my Ph.D. advisor. He did his postdoc at Harvard University a while ago, and consequently, I was never involved in this work. In past two decades, several approaches have been developed and optimized to encapsulate a wide variety of materials, from food to cosmetics and the more demanding realm of therapeutic reagents. Inspired by biological cells, the first attempts were to use either natural or synthetic lipid molecules to form encapsulation vessels, the so-called liposomes. Then, with the increasing awareness of controlled release of cargo, especially for therapeutic purposes, advanced materials such as polymers were developed to form carrying vessels. There has been an enormous progress in encapsulation technologies, however, these methods can be limited in their applicability regarding encapsulation efficacy, permeability, mechanical strength, and for biological applications, compatibility. In this article, Anthony Dinsmore and his colleagues introduce a new platform and structure to encapsulate almost all types of materials with finely controlled and tuned properties. An emulsion is produced typically by application of a shear force to a mixture of two or more immiscible liquids like the classical water-oil mixture. The resulting solution is a dispersion of droplets of one liquid in the other continuous liquid. In such case, an interface between the fluids exists that would impose an energy penalty on the system. Therefore, the system will always attempt to minimize it, in essence by reducing the area of the interface that is to merge the similar liquid droplets. Amphiphilic molecules are known to segregate in such interface to further reduce the energy and to inhibit the merging of droplets. This segregation is not limited solely to molecules though. Solid particles tend to jam in the interface for the same reason to stabilize the emulsions. Inspired by the idea of particle-stabilized emulsions, which are known as Pickering emulsions, Dinsmore, and his colleagues have developed capsules made of solid particles. They adopt the name “Colloidosomes” by analogy to liposomes and demonstrate how the arrangement of these particles can be manipulated and controlled to achieve a versatile encapsulation platform. Fig 1. The colloidosome formation process is illustrated schematically in three steps. (A) a water/oil emulsion first is created through gentle agitation of the mixture for several seconds. (B) Particles are adsorbed to the w/o interface to minimize the total surface energy.  Through sintering, van der Waals forces, and or addition of polycations ultimately the particles are locked in the interface. (C)In the end, the particle-stabilized droplet is transferred to water via centrifugation. (a) Trapping and stabilization. When the water-oil interface energy surpasses the difference between particle-oil and particle-water interface energy, particles are absorbed to the water-oil interface and become trapped due to the presence of a strong attractive well. This differs substantially from the case where particles were adsorbed to the interface via electrostatics, which requires the droplets to be oppositely charged to attract the particles. The packing of the particles at the interface is adjusted by controlling their interactions. Typically, the electrostatic interaction between particles, due to their surface chemistry, is utilized to stabilize the packing of the particle. For instance, in this study particles are coated with a stabilizing layer which in contact with water turns into a negatively charged layer. (b) Locking particles. To form an elastic and mechanically robust shell, the particles must be locked in the interface. This results in an intact capsule that can withstand mechanical forces. One way to obtain such elastic shell is to sinter the particles in place. Sintering is a thermally activated process in which the surface of particles melts and connects them to each other. Upon this local melting, the interstices among particles begin to shrink. With longer sintering times, it is possible to completely block the interstices, which results in very tough capsules with extremely high rupture points. In this study, particles with 5 minutes of sintering yielded a 150 nm interstices size, and with 20 minutes, almost all the holes were blocked. By using particles with different melting temperatures, the sintering temperature can be adjusted over a wide range; this might be advantageous for encapsulants incompatible with elevated temperatures. Other ways of locking particles are electrostatic particle packing and packing via van der Waals forces. In the former case, for instance, a polyelectrolyte of opposite charge can be used to interact with several particles to lock them in place. In the latter case, for the van der Waals force to be effective, the steric repulsions and barrier must be destroyed so the surface molecules can get close enough for the London forces  to be strong. After the Colloidosomes are formed, through gentle centrifuging, the fluid interface can be removed by exchanging the external fluid with one that is miscible with the liquid inside the colloidosome. In this step, having a robust shell to withstand shear forces crossing the water-oil interface is very important. This process ensures that the pores in the elastic shell control the permeability by allowing exchange by diffusion across the colloidosome shell. Now, with these steps and knowing parameters such as surface chemistry and locking condition, a promising system with characteristic permeability or cargo release strategies can be designed. The most important feature of a colloidosome, as a promising encapsulant, is the versatility of permeation of the shell and or the release mechanisms. Sustained release can be obtained via passive diffusion of cargo via interstices that can be tuned via particle size and the locking procedure. With the mechanical properties of capsules optimized, shear forces can be used as an alternative release mechanism. For instance, minimally sintered polystyrene particles of 60 microns in diameter have shown to rupture in stresses that can be tuned by sintering time over a factor of 10. What makes the colloidosomes even more interesting is that one can choose different particles, with different chemistry, to have an auxiliary response, such as swelling, and dissolving of particular particles in response to the medium. It is also conceivable if one coats the colloidosome with the second layer of particles or polymers to improve or sophisticate the colloidosomes response. The latter can also mitigate the effects of any defect in the colloidosome lattice. With this unique platform, Dinsmore and colleagues stepped into the new realm of encapsulating materials of all kind. From therapeutic cargos to bioreactors, the chemical flexibility and even the ease of post-modification would expand the cargo type beyond molecules. For example, the authors show that living cells can be encapsulated in colloidosomes. Well, you may wonder, WHY? Imagine a protective shell around cells that keep them out of the reach of hostile microorganisms without compromising the cell’s vital activities such as nutrient trafficking and cell-to-cell crosstalk. London forces arise when the close proximity of two molecules polarizes both molecules. The resultant dipole work as a magnet to glue molecules together. Therefore, London forces are universal forces (and part of van der Waals forces), which takes effect when atoms or molecules are very close to each other.